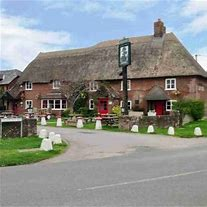 The Elm Tree in Ringwood is a gorgeous thatched country inn with a beautiful Tythe Barn attached where we will be holding our monthly Live Laugh Love events. I really love welcoming along all of our ladies, new ladies coming along for the first time along with familiar faces who come along regularly and have built some wonderful friendships during that time. We get together monthly for lunch or an evening supper with refreshments and the Elm Tree Inn always provide an excellent service and work hard to cater for us with a variety of different dishes and dietary requirements. We welcome Garry Foley this evening, our very own Dorset based Elvis, we have a very exciting evening ahead hearing how Garry a local business and family man turned his passion for Elvis into one of the most award winning and internationally acclaimed Tribute artists. There was only one Elvis Presley but Garry is one of the closest to the King that you will see, with the looks, costumes, voice and on-stage charisma. I personally became a bigger Elvis fan after seeing Garry perform and realised just how much I loved Elvis's music. Garry has had a lot of success and has gained many awards along the way including two recent awards at the European Festival in Birmingham. This has led to many opportunities for Garry not only in the UK but also worldwide, his costumes are exact re-creations of Elvis’ on and off stage wear and are all made by a renowned US costume maker, who holds the original patterns of Elvis’ jumpsuits. This is going to be an amazing event so book now to secure your place. On this evening we welcome along Mark Horsford from Michael House, Michael House was established over 25 years ago in 1992 and pioneered the first Night Shelter in Dorset. They provide emergency and longer term accommodation to homeless people and provide related day services to those who are vulnerable. It is more than a hostel, it’s a home for people whilst rebuilding their lives to be able to move forward to independent living. Michael House work alongside other agencies and on this evening we will welcome Sally Harvey who founded the AOK Rucksack Appeal (now part of Hope). Homelessness is an emotive subject, something that we see all around us now and there are often questions we would love answered about the crisis that affects people from all walks of life for many different reasons. This will be an interesting and interactive evening, a subject very close to my heart. Prepare to be enthralled by our speaker on this evening, we will be hearing from the wonderful Kate Bolton (a rare opportunity) of Ma Bolton, Kate is an incredibly talented lady who over the last few years has won various awards for her Gluten Free, Dairy Free and Refined Reduced Sugar produce. Kate is a Celiac herself and with a young family, she wanted to be able to enjoy food with them, she researched and experimented for some years before creating and producing probably the best pastry I have ever tasted amongst other wonderful culinery delights. Her award winning Pastry Mix is not only Gluten Free but it also does not have any of the hidden additives that have crept into other Gluten Free items you might find on the shelf. Her New York Cheesecake and Chocolate Torte (No ordinary chocolate!) are amazing, Kate produces lots of unusual goodies along with fabulous preserves and syrups to give wonderful added flavour to soft drinks or equally to your gin, vodka or prosecco! This is definitely an evening not to be missed, Kate is delightful and I know that you will love hearing her sharing her passion. Here’s Leigh’s own introduction:- Along with my husband Tom and our two Parson Russell Terriers – Rosie and Martha, we spent over two years traveling and experiencing some twenty plus European Countries (with a couple of last minute flights back to the U.K. when family ‘challenges’ arose). Martha (a very clever canine) blogged the trip, which I edited in order for ‘Travels with Martha’ to be available as an e-book and paperback in 2015. Their travels have not ended there as they definitely got the bug but you will have to come along to hear more ….